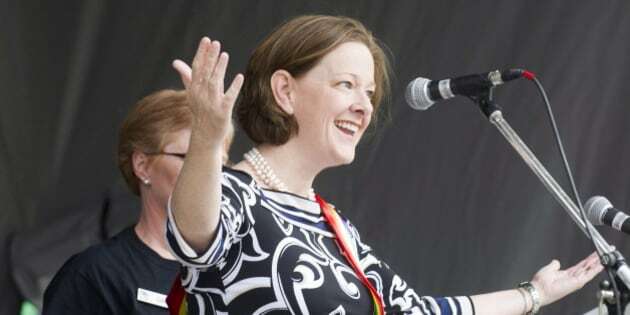 CALGARY - Alison Redford will become the first Alberta premier to march in a gay pride parade when she acts as grand marshal for Calgary's event on Sunday. She is also to host a brunch during the city's pride festivities to raise funds for a camp for sexual and gender minority youth. Organizers say more than 150 community and government representatives are expected to be at the brunch. Redford tweeted recently that she is "pleased'' to be attending the parade. She was also the first Alberta premier to participate in Edmonton's gay pride festival when she spoke after the parade in June 2012. Kathleen Wynne, Canada's first openly gay provincial leader, made history earlier this year when she became the first Ontario premier to march in the Toronto pride parade.